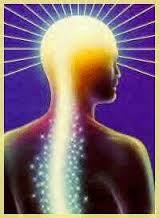 There are many misconceptions about the mysterious Divine force widely known as Kundalini. As responsible Spiritual Seekers, Healers and therapists, it is important to understand the various ways in which this force can manifest, from its initial stirrings to the full blown spinal journey. This will enable you to recognise its potential awakening both in yourself as well as in your clients and provide some guidance on how to work with it, as well as providing some support for others. This teleclass series is an educational program and is not orientated towards 'activating' kundalini in any way. To seek to awaken the full force of this energy when an individual is not prepared or aware of how to deal with it is spiritually irresponsible - we can either burn or be transformed by this energy and should never underestimate the power and force it brings. Having been through a number of kundalini 'cycles', I have both experienced, explored, researched and worked with this energy in order to understand it and 'partner' with it as and when it arises or begins another stage of my own transformation. The classes are pre-recorded so you can go through each video in your own time. You will also receive a workbook to accompany the teleclasses, as well as additional e-books and powerful resources to support you! No two spiritual awakening experiences are the same, and every journey is as unique as the individual concerned. However, one thing is consistent - when we awaken there is an influx of energy that can literally turn our lives upside down in a multitude of ways. The energetic environment on our planet is also triggering many spiritual awakenings in people that have no guiding principles or understanding of what is happening to them. This new energy impacts us at all levels of our being, and it is going to become more and more important for therapists and individuals alike to understand the implications of and possible responses to this energy, as well as what is happening at physical, emotional, mental and spiritual levels.